Delicate and eye catching. 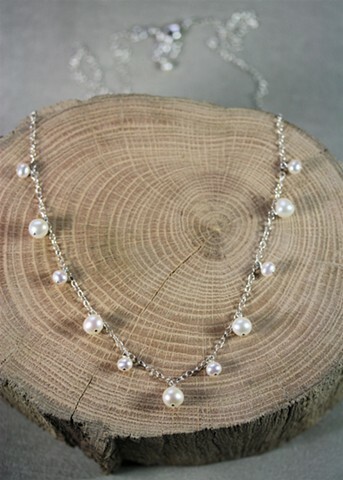 Fresh water pearls in two alternating sizes on a long strand of sterling chain. Sterling lobster claw closure with 2" sterling extender chain. Approx 31-33"